We have all been told to practice water conservation since we were young. Droughts in different places around the globe have prompted numerous environmental organizations and agencies to promote shorter shower times. In reality, however, this is just simply hard to do. Millions of people take pleasure in the few minutes they spend under the shower. 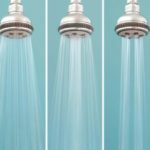 A much more realistic alternative is to make the switch to low-flow shower heads. Keep reading to learn the top benefits of using a water-saving shower head. Just a few years ago, standard shower heads were delivering anywhere from 5 to 8 gallons/minute. Modern models are capped at 2.5 gallons/minutes. The low-flow shower heads are those that deliver only 2 gallons or less water per minute. As you can see, the discrepancy is huge. 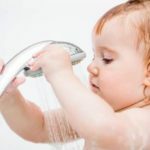 If you consider that showers account for 30% of an average household’s water usage, it’s easy to see how the switch to these models can lead to enormous end-of-year savings. Low-flow shower heads can reduce water consumption by 40%. This can amount to a lot of savings over the long term. What’s more, this can also help bring down your energy bills. This is because energy is used to hear the water from your shower. Reducing your water usage equates to decreasing energy usage as well. You can realistically expect a great reduction in your annual heating expenses. What’s more, this type of shower head also helps decrease carbon dioxide emissions, which means it’s friendlier to the environment. It’s worthy to note that low-flow shower heads do not mean they produce low water pressure. While older models used to slow down water pressure in an attempt to prevent excessive water consumption, the modern versions now make use of newer technology that delivers high water pressure without increasing water flow. You can expect to have a good quality shower with a low-flow shower head, and it wouldn’t put a dent in your pocket. 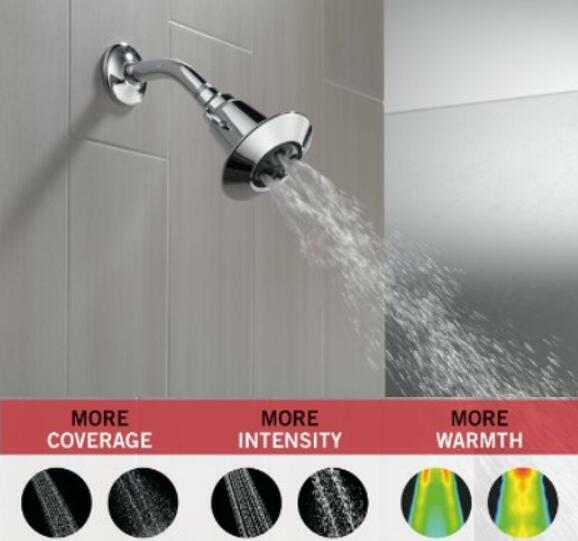 There are plenty of benefits to using a water-saving shower head. They can help you save a lot of money over the long term. 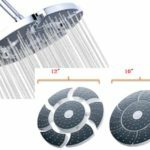 Investing on this type of shower head proves well worth it, especially if you consider that it pays for itself in the first year of use alone. There’s simply no reason not to make the switch. Begin your search for a low-flow shower head and start saving more money, time, water and energy all at the same time. 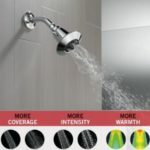 When you look at a modern shower head you might be impressed with its physical design and the modern type of beauty and sleekness that it has. Your impression of it might end right there and you might just count it as something that looks great and that serves a very utilitarian function and that’s it. But if you were to open up a modern shower head you will see the modern technology that allows it to save water. It just isn’t a thing of beauty it is a thing of utility and purpose that allows us to protect the Earth. 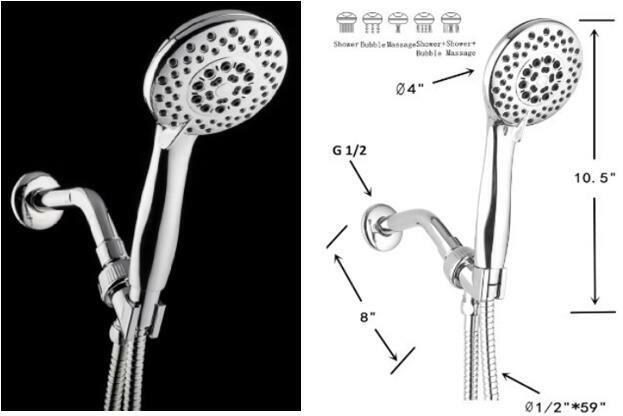 The design of shower heads has changed over the years. In the past, they were created just to allow water to flow through at different ratios. 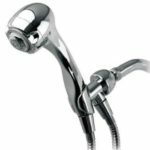 We are all familiar with the different settings on a shower head but they are much lower than that. Modern shower heads that are designed to save on our usage of water has a much different design on the inside. 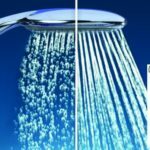 They have a unique design that allows them not to use as much water as a traditional shower head. This is a great creation and technological change that will help protect the Earth. 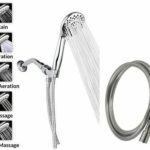 Large rainfall showerheads and comfortable massaging showerheads now give poeple more enjoy when they take a shower. The difference on the inside is how it allows water to flow from the piping to the shower head. It has a new design that saves on the amount of water that flows through. This reduces the amount of water that can go through the shower head without reducing the pressure of the water. This is the secret to how they can create a steady flow of water with a high pressure so that it doesn’t feel like less water is being used. So this is the secret to how it is done and why it works so well. It’s important because all the water is a semi replenishable resource Water Crisis and shortages are known to happen throughout the world. We do not have control on when it rains or on the water level of rivers and oceans. In places like California they have gone through a severe drought and the lakes and rivers have been replenished. It’s such an environment it is important to save as much water as possible. Even when it comes to just your own wallet saving money is important and a shower head like this will lower your water bill. And next is over 1400 sales Niagara Conservation 2.0 Gpm for you reference, Flow control technology: greater force at lower pressure! Conserves water and saves money while enhancing pressure, performance, appearance and luxury!